We tend to think that those beliefs of which we are more confident are more difficult to modify, but in reality are wrong. But this is not always the case: there is some evidence that shows that the more we are certain of the validity of a belief (though, in reality, be wrong), the easier it is to modify that belief: it is called the hypercorrection effect (THE). What is certain is that the it goes against our intuitions, and of most of our daily experiences. So it is reasonable for us to wonder about the strength of THE: is this a phenomenon of a single address, on which the belief is fixed and is stored in the memory permanently?, could it be that the mistaken belief re-appears with the time, moving to the correct belief? This is what they set out to find out Andrew C. Butler, Lisa K. Fazio and Elizabeth J. Marsh in an article published last year. To do this, the experimenters used to 50 students at Duke University, who provided in a computer 120 questions of general knowledge about science (for example: What is stored by the camel in the hump?, or how Many chromosomes they possess humans?). The answer to the questions consisted of a word or a short phrase. The students had to answer the questions, indicating also what was your degree of confidence in their answerfrom 1 (sure wrong) to 7 (sure correct). After answering each question, students were provided with feddback on their performance: they showed the correct answer to the question, whether the students had been successful and if not, for 6 seconds. The interesting thing about this study is that the 50 students were separated randomly in two groups on arrival to the laboratory. One of those groups I would repeat the test of the 120 questions ( 6 minutes after his first performance; the other, however, I would repeat the test a week later. The researchers, in analyzing the results, they were able to verify the presence of THE: the more confidence students had in answers that are revealed as incorrect, the greater the likelihood that the erroneous belief is corrected. However, they were also able to verify that the rate of erroneous beliefs corrected suffered a significant decrease in the group that was retested a week later (0.86 at 0.56, a percentage that almost indicates random). In short: the subjects had forgotten many of the correct answers, and are returned to their initial mistakes, in seven days. What explains this phenomenon? The authors cite a theory of R. A. Bjork & E. L. Bjork that could account for these facts: the “theory of disuse”. According to this theory, mental representations would be a force storage (storage strength) and a strength recovery (retrieval strength): the strength of storage refers to how well information has been learned, while the strength of recovery reflects the accessibility momentary to that information. Both forces increase with each exposure to the specific information. But while the force of the storage is never degraded (in normal conditions), the strength of recovery decreases with time, due to the interference that results in the exposure to other information. The beliefs of which we are very confident, but they are false, they would have the forces of storage and recovery high. Provide feedback after errors could reduce the strength of recovery, increasing the strength of the correct answer. This way, when you re-take the test, the correct answer tends to be retrieved from memory more easily. By against, the force of storage of the correct answer, shown after the error, it should be weaker than the strength of storage of the erroneous belief, of which we were very safe, due to the difference in the number of exposures to that information. As the strength of the recovery degrades with time, this difference in forces storage makes it more likely that the erroneous belief is to regain with the passage of time. Our findings emphasize the need to capitalize on the hypercorrection effect before high-confidence errors return by providing additional opportunities to learn the correct information. Although the study sample is small, the results and recommendations of the authors tallied very well with a post which I dedicated a few weeks ago, The Debunking Handbook, a sort of mini-guide for the demolition of myths and erroneous beliefs. In it, among other tips, it was recommended to focus the learning on the repetition of true beliefs, while minimizing the exposure to the erroneous, as a means to increase their persistence in the memory. 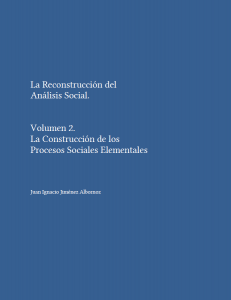 The Social Construction of Quantitative Research.